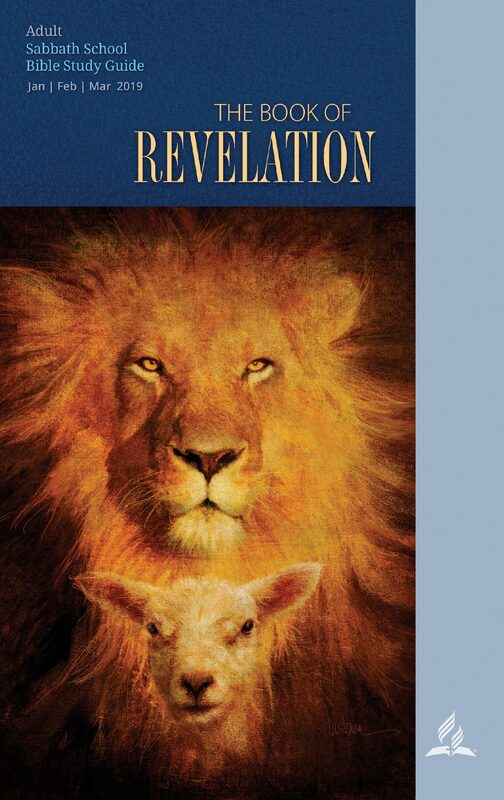 Revelation 1: 10-11 reveals the mood in which John was before he received the revelation: ἐγενόμην ἐν πνεύματι ἐν τῇ κυριακῇ ἡμέρᾳ “I was in the spirit on the Lord’s day.” Being in the spirit is considered to be either in a trance or in an ecstatic out of the body experience. However, John does not disclose any preparatory procedures or engagement that enabled him to be in the spirit. The New Testament is prone to such experiences. For example, both Peter (Acts 11:5) and Paul (2 Cor.12:1-7) were carried in trance status. Therefore, it can be concluded that being in a trance was a natural process of receiving a vision in the New Testament times. John then in the spirit hears a loud voice like a trumpet behind him. The voice instructs him to do two things: (1) to write down the vision and (2) to send it to the seven churches in Asia Minor. This signifies his commissioning. In the Old Testament, Isaiah commissioning was given him also in a trance (Isaiah 6), therefore following the Jewish pattern of apocalyptic commissioning. John receives a revelation of Jesus Christ in a most dramatic way from 1: 12-16. John turns to see the voice and upon doing so he saw first seven golden lampstands. Then further, John saw one like the son of man whom he described as standing in the midst of the seven lampstands, clothed in a robe reaching to the feet, and girded across his breast with a golden girdle. And his head and his hair were white like white wool, like snow; and his eyes were like a flame of fire; and his feet were like burnished bronze, when it has been caused to glow in a furnace, and his voice was like the sound of many waters. And in his right hand he held seven stars; and out of his mouth came a sharp two-edged sword; and his face was like the sun shining in its strength. This description is characterized in a display of cosmological element which was generally associated with Greco-Roman gods. For example, the Greek God Apollo was associated with the sun, Artemis represented by the moon, Zeus was the ruler of the sky, Poseidon represented the sea, Hekate as the Mistress of the cosmos, etc. This cosmological portrait of the son of man shows the magnitude of his power and sovereignty over the cosmos as he combines all the features together. Again, a sign demonstrating to the recipients of John revelation the supernatural source of such revelatory knowledge, and also to serve as a source of encouragement to the believers of the superiority of their God over the gods known to them in Asia Minor; the one who has control over human history and the cosmos. In response to this revelation about the son of man, John in 1: 17 fell at his feet as dead. The son of man respond to Johns’ gesture in 1: 18 by placing his hand upon him and assuring John not to fear; with the reasons that: (1) I am the first and the last, (2) I am the living one, (3) I was dead, but I now live forever, and (4) I have the keys of Death and Hades. Jesus reveals himself as the one who holds the key to the grave. In the Greco-Roman mystical tradition, Hekate is believed to hold the key to the grave or Hades. This self-proclamation of Christ reveals His victory over the power over the grave and has therefore rescued the key to Hades from its bearer Hekate and also reveals that he is the beginning and the end which was another attribute of Hekate. This shows forth to the Christians believes in this regions who knew the supremacy of this goddess who was sometimes identified and also associated with Artemis of Ephesus as being usurped by Jesus Christ who is indicated as one like the son of man. This was an assurance message to the believers that the forces at the time have been overcome and therefore the need to have fool assurance in the Lord and rest for his second coming.